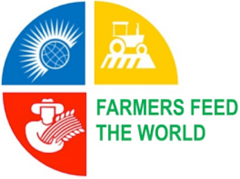 Farmers feed the world is a training program for Syrian refugees interested in using their agricultural background to enter the Canadian Agricultural and Agri-Food Sector. As estimated 45% of Government assisted Syrian refugees have an agricultural background. Quinte Immigration Services, Central Eastern Translation Interpretation Services, East Central Ontario Training Board, and Quinte Local Immigration Partnership will launch the pilot project on August 26, 2016. OCASI is excited to announce 16 hours of facilitator-led training that addresses all components of service delivery within the Settlement Services for the Lesbian, Gay, Bisexual, Trans, and Queer/Questioning (LGBTQ) communities. OCASI is seeking agencies that serve or have an interest in serving LGBTQ newcomers to participate in these exciting trainings, which are FREE OF CHARGE! Local Agencies Serving Immigrants (LASI) – Ottawa and OCASI – Ontario Council of Agencies Serving Immigrants release a joint statement on the shocking death of Abdirahman Abdi, and call for a full and transparent investigation. A countless number of residents are without immigration status in Canada. The Canadian immigration and refugee system has clearly failed many people. A regularization program is the only way to ensure that all migrants in Canada are treated with the respect and dignity they deserve. Endorse this call for regularization of immigration status. Visit SettlementAtWork.Org, the knowledge hub for the settlement sector in Ontario for the latest news and resources. Latest headline - Online Consultations Now Open to Inform the Development of Planned Accessibility Legislation, a national public consultation on how to improve accessibility and the inclusion of Canadians with disabilities. OCASI participated in the national consultations on immigration by the Minister of Immigration, Refugees and Citizenship (IRCC). Read more for the list of key points OCASI shared at the consultations in response to IRCC questions and in the online survey. The OFL’s Make It Fair campaign is reaching out to talk to Ontarians about their experiences of precarious work, as well as the experiences of their family and friends. Click here to learn more, take the online survey and share with your contacts. Enter to win a $200 gift card for either Loblaws or Metro. Deadline - October 1. The federal government has restored as of July 1, 2016, the eligibility of advocacy activities for funding within projects supported by the Women’s Program at Status of Women Canada. Advocacy activities directed at federal, provincial, territorial, or municipal governments had been declared ineligible for funding consideration in 2007 under the previous government. An interim report has been released on this Ontario review that is underway on the changing nature of the workplace. The Report identifies approximately 50 issues and over 225 options of varying size and scope.Provide feedback byAugust 31, 2016 on Personal Emergency Leave options, and by October 14, 2016 on all other options. 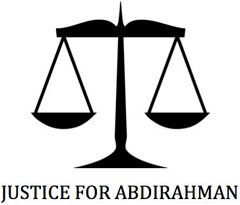 Justice for Abdirahman is an Ottawa-based coalition representing Somali community members and Somali organizations in Ottawa, and is supported by local and national advocacy groups. The objective of the coalition’s campaign is to obtain greater transparency, challenge racial inequity, and bring positive change in order to secure justice for Abdirahman. Consultations are underway to improve Labour Market Transfer Agreements (LMTA) between federal and provincial and territorial governments. The LMTA support the design and delivery of programs and services that respond to the employment needs of all Canadian workers, including newcomers. Submit comments on the discussion paper by August 19, 2016.